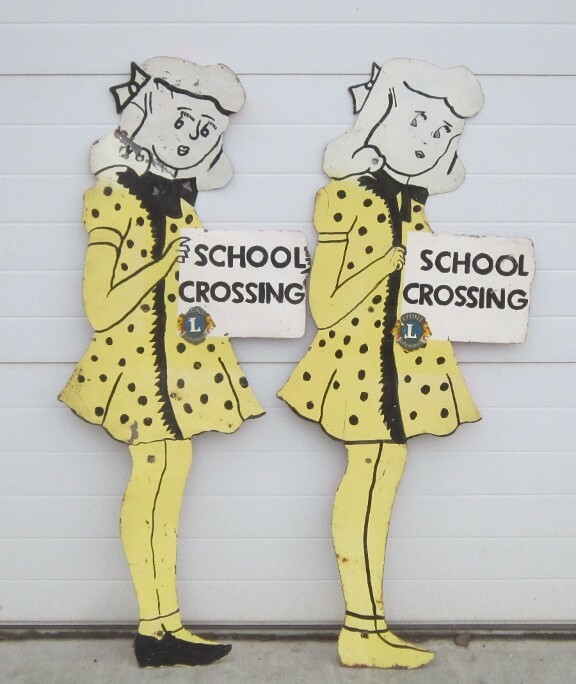 I acquired these signs yesterday and was wondering if anyone had seen similar signs. I was told by one person that they had similar signs in the town he grew up in. They obviously have been repainted an unknown number of times which makes me wonder what they looked like originally. Also what vintage are they? I'd say late 30's and into the 40's for dating.